For over 30 years I have taught Marine Biology and Biological Oceanography classes at Santa Barbara City College. Our campus is right across the street from a harbor, sandy beach, and a small tidepool area. I have developed laboratory exercises for all of my classes that use the waterfront as much as possible. But, it is the tidepool trips that I find most exciting. Even after 30 years, there are still surprises with each trip and it has been my pleasure to introduce hundreds of students to the California tidepools here in Santa Barbara. 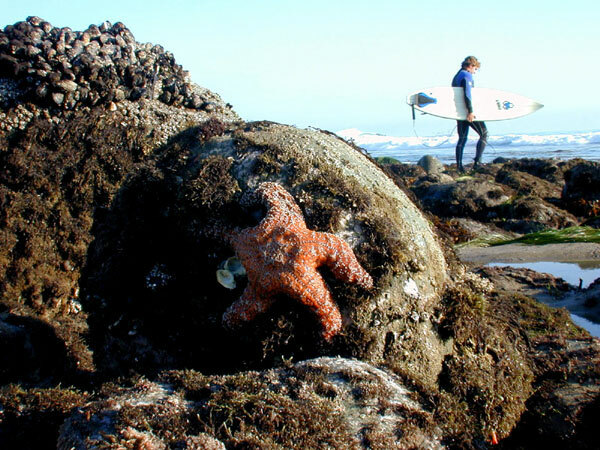 Please come with me, in these virtual lessons, to the California tidepools. Although the images are all taken from Santa Barbara, the same species live along most of the California coast.